Ships from HongKong.This kind of hair clip is very special and newly-designed.Its beautiful outlook can make your hairstyle look better. 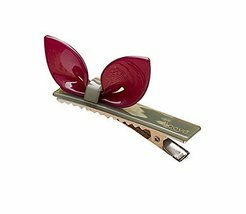 With this hair clip,you can easily match what you wear. Especially when you want a pastoral style with your hair and your clothes, please don't hesitate and take these beautiful and exquisite hairpin!